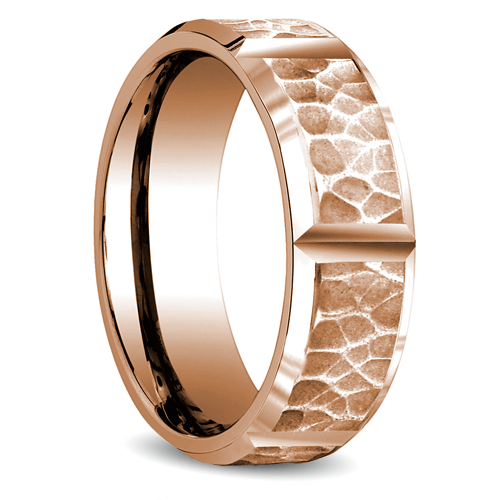 Perfect for the guy who wants a modern, unique version of a traditional wedding ring, the Hammered Mens Wedding Band in Rose Gold . 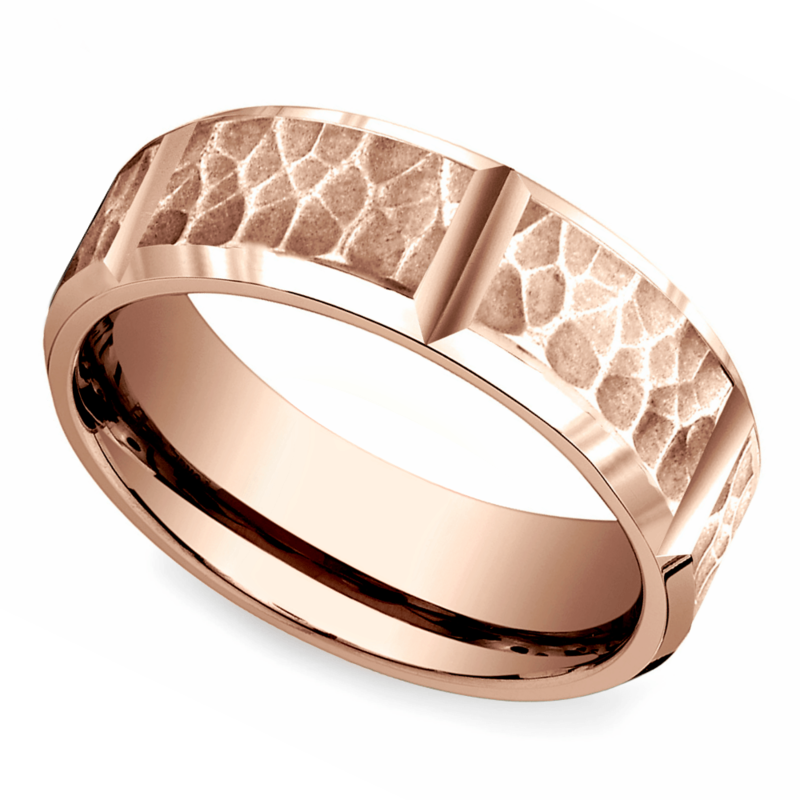 contrasts texture with the natural, high-shine of 14 karat rose gold. The rugged hammered finish adds an unexpected element to this elegant band. Vertical grooves around the comfort fit ring create sharp lines to break up the hammered pattern, making this a truly eye-catching design. Looking for something more traditional? Check out our complete selection of Men’s Wedding Rings.